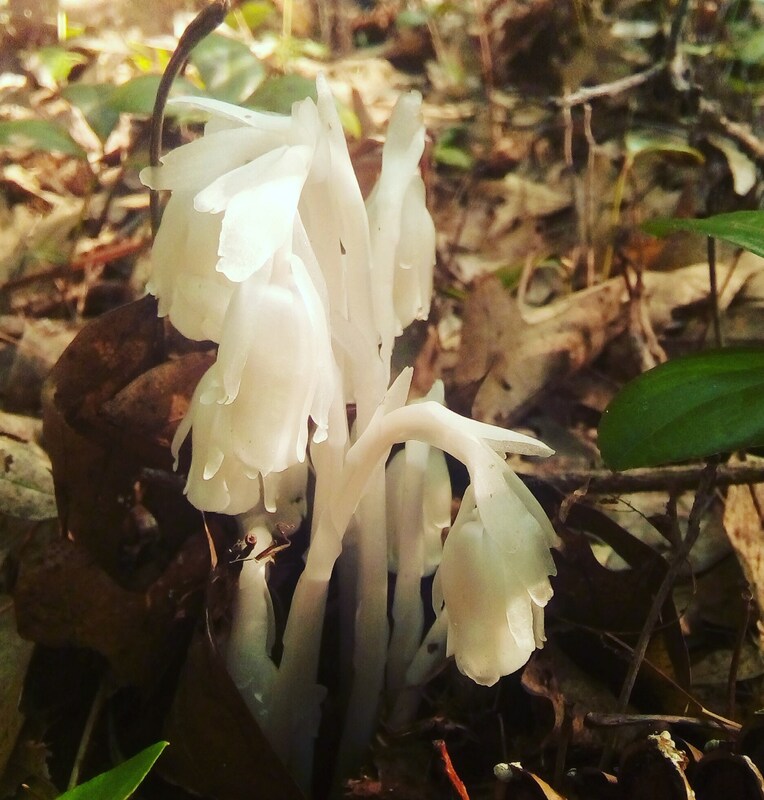 Ghost Pipe (Monotropa uniflora) is an oddity of the forest. Unlike most plants, this ghostly plant does not rely on photosynthesis, but rather taps into the flow of nutrients between the mycelial network and rhizomes in the soil, emerging from under the leaves, unfurling toward the sky. Native Americans used this plant for a variety of uses, and it is indeed a very powerful plant containing antispasmodic, analgesic, nervine, sedative, and tonic properties. It has historically been used as an opium substitute. 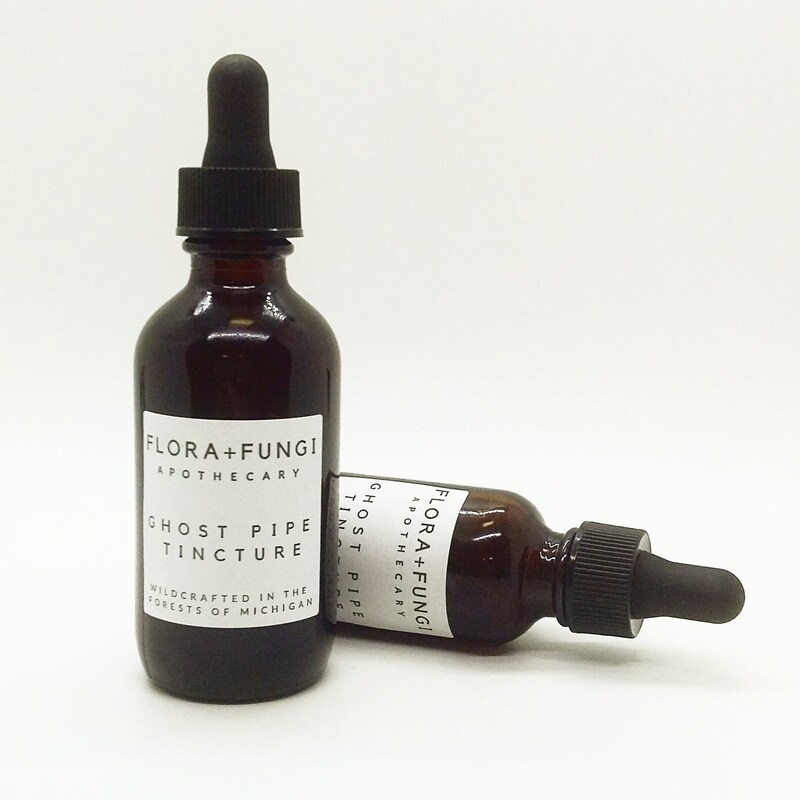 This tincture can be used to manage pain and headaches- it is considered an antinociceptive- it increases a person’s tolerance to deal with pain. 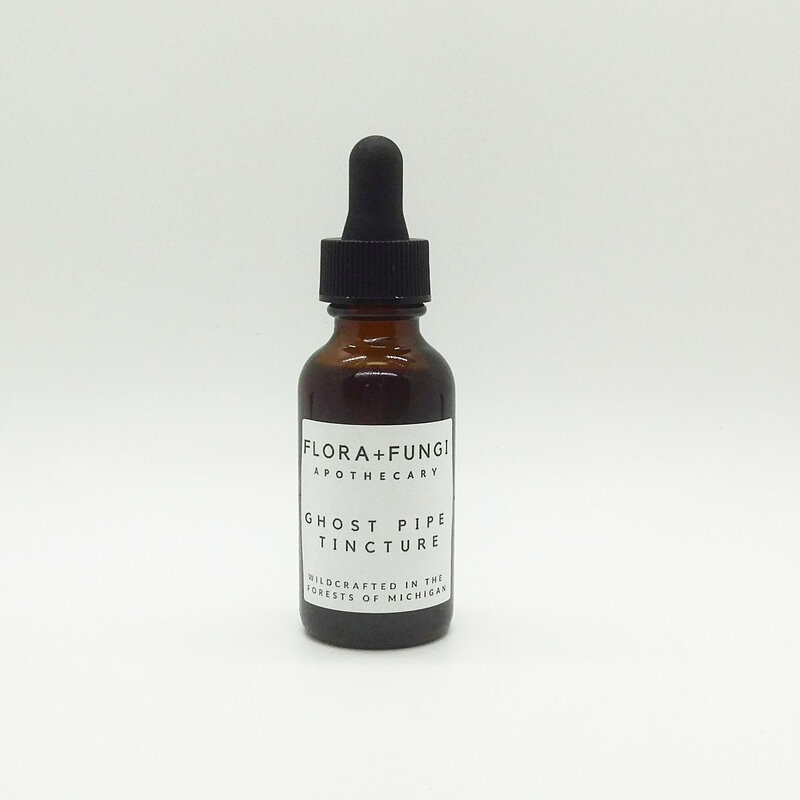 Given its sedative abilities it is also helpful as a sleep aid, and is also useful for meditation, although you may experience intense or strange dreams while using it. Some users report their dreams being cast in strange shades of purples, blues and greens. Due to its potency we recommend starting with a dose of 1-2ml and gradually increasing until the desired effect is achieved. 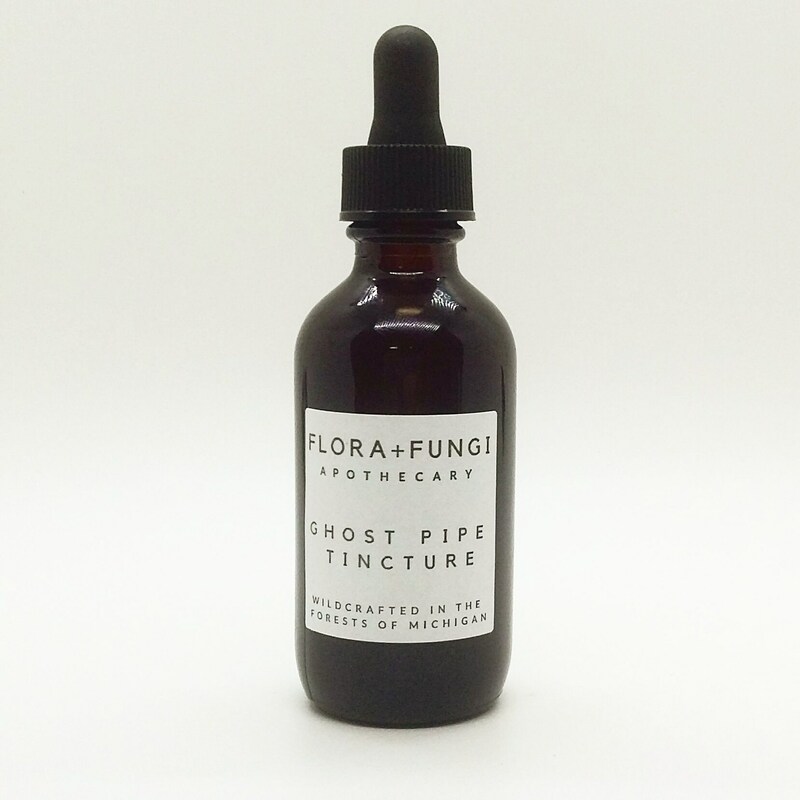 Our Ghost Pipe Tincture is made with both the aerial parts of the plant and the root in equal proportions. 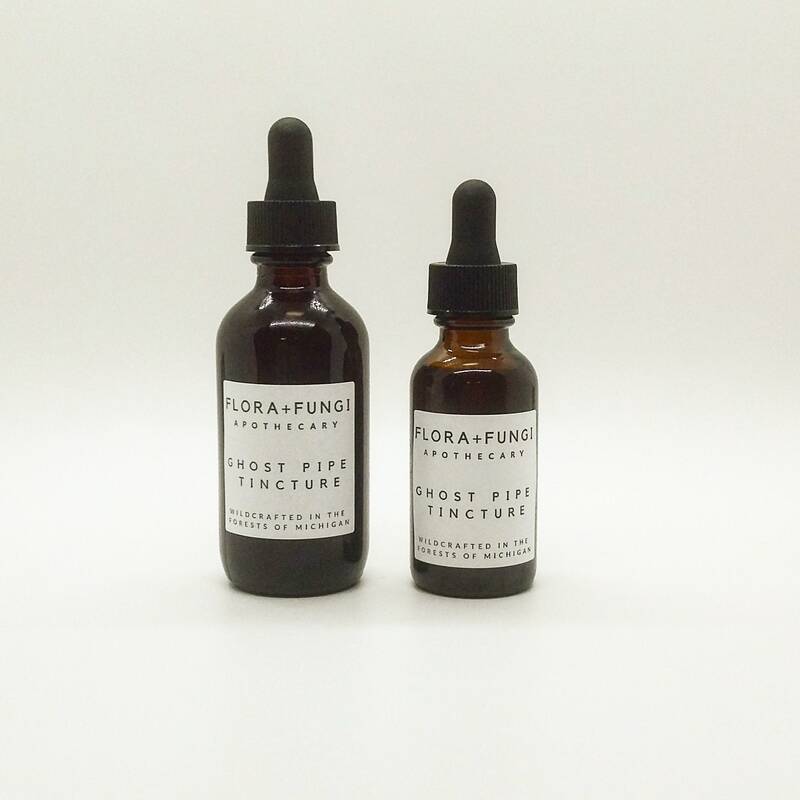 Tinctures are a versatile medicine, they can be taken daily as an adaptogen to help support immune function in low doses, or at higher doses to ward off the onset of a cold or other maladie. We recommend taking between 1m-3ml, 1-3x times daily. Our 1 oz bottle has a metered glass dropper to help you measure. 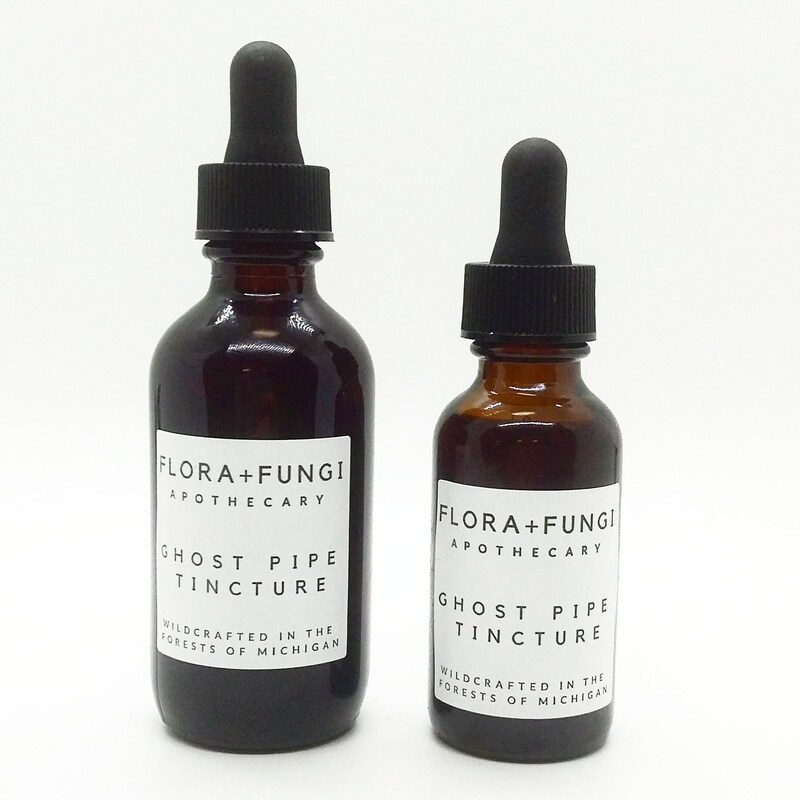 Tinctures are best mixed with fluid to dilute the concentrated flavor- add to tea, coffee, cocoa and other hot beverages(the heat will cause the alcohol to evaporate leaving the beneficial compounds in the cup for you to drink), add to smoothies, oatmeal, soups, salad dressing and anything else you would like. Due to the sanitary nature of the products we produce and sell, we cannot accept returns. We expect all customers to thoroughly read about the product and ingredients/allergens and make their own decision whether a product is right for their body/skin type. This is our standard policy, however, we do take every situation on a case by case basis, and strive to make all our customers happy! If you have an adverse reaction to a product despite thoroughly investigating a product before purchasing it and using it according to the recommendations, please contact us so we can work out a solution in which everyone will be happy.